Gionee Mobile have launched 3 new devices into​ its Gionee S10 series; Gionee S10, Gionee S10B and Gionee S10C. Check out their specs and pictures. We reported sometime this month that China’s certification site, TENAA certified a new smartphone called the Gionee S10. The S10 according to some pre-launch rumours held a whole lot of promise. It is the immediate successor to the last year’s (2016) Gionee S9 which had fantastic specs and blew minds. Let’s see if the S10 will even be more promising, or not. Gionee launched the Gionee S10 in China (May 2017) and at the event, Gionee made it known​ that there would be three(3) versions of the device; Gionee S10, Gionee S10B, Gionee S10C. We’ll proceed to take a look at the specs of each individual member of the Gionee S10 series. 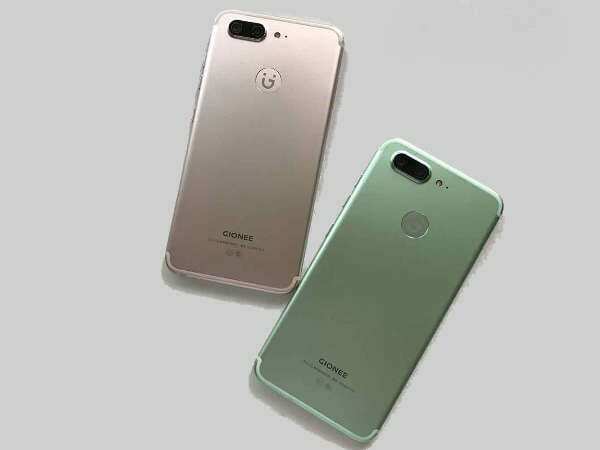 The first variant is the Gionee S10 and it will feature a 5.5-inch Full-HD (FHD) display screen with a 1080×1920 pixel resolution. Powered by a MediaTek Helio P25 SoC processor, 6GB of RAM, 64GB internal storage space and 3450mAh battery power, the Gionee S10 is a beast. The main highlight of the device however are the cameras. It sports a dual camera setup both at the front and back. The rear snappers is made of a 16MP and 8MP lens while the front cameras, 20MP and 8MP. Like the S10, the Gionee S10B also features a 5.5-inch full-HD display but is powered by a MediaTek Helio P10 processor. With 4GB of RAM and 64GB ROM, you get enough speed and storage space to keep your files. The Gionee S10B also has a dual camera setup, but only at the rear/back. The front camera is a single 16MP lens while the back camera has two sensors; 13MP and 5MP. Keeping the S10B alive is a big 3,700mAh battery. The third version of the S10 series is the Gionee S10C​. The S10C is the smallest member of the S10 family. The screen is sized at 5.2-inches, RAM is at 4GB and ROM, 32GB. Powered by a Snapdragon 427 processor and a 3,100mAh battery, the Gioness S10C could be small, but definitely mighty. The Gionee S10C​, unlike the S10 and S10 doesn’t have a dual camera setup. Neither on the front nor at the rear. It has a single 16MP sensor at the rear and a 13MP shooter at the front for selfies. The three versions of the S10 family (S10, S10B and S10C) will all run on Gionee’s native Amigo 4.0 OS. The Android OS which they will run on is most likely the Android Nougat v7.0.